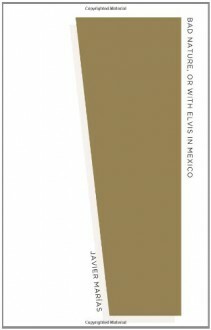 A gem of a Marías story: Elvis and his entourage abandon their translator in a seedy cantina full of enraged criminals.“It all happened because of Elvis Presley.” Elvis, down south of the border to film a movie, has insisted his producers hire a proper Spaniard so that he can pronounce his few lines in Spanish with a Castillian accent. But Ruibérriz has taken on much more than he bargained for. One fatal night, horseplay in a local bar goes too far: a fatuous drunken American insults the local kingpin, and when the thug insists that Ruibérriz translate, Elvis himself adds an even more stinging comment—and who must translate that?